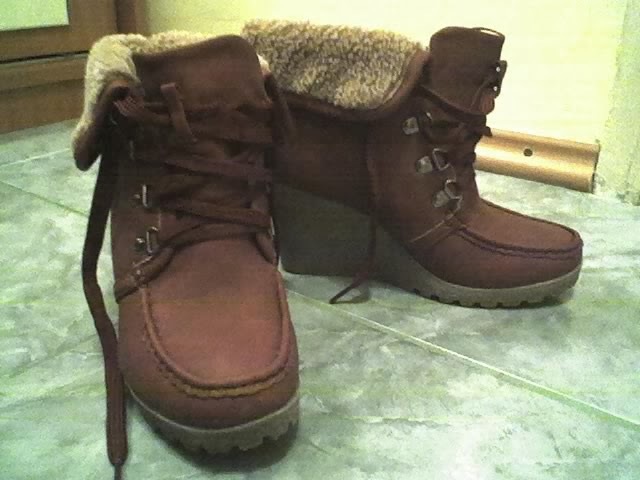 I love these fleece wedge-heeled boots because they keep me warm and in style during the cold winter days. The cuff can be folded up or down to showcase the shear-ling lining. If I am wearing a dress or skirt, these leg warmers are the perfect choice in order to complete the outfit.